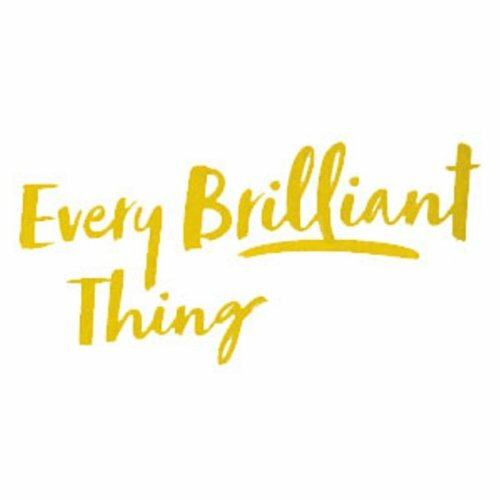 I’m going to tell you every brilliant thing about Every Brilliant Thing at Vintage Theatre. Well, maybe not every brilliant thing, but I’ll give you the highlights. Number 1. John Ashton. John Ashton plays the Narrator for this script and does so with tactfulness and dignity. Standing alone on a stage for over an hour talking about your mother’s multiple suicide attempts sounds like a dark journey to take an audience through. Ashton is genuine and warm in his portrayal of the Narrator as well as the other characters throughout this venture. 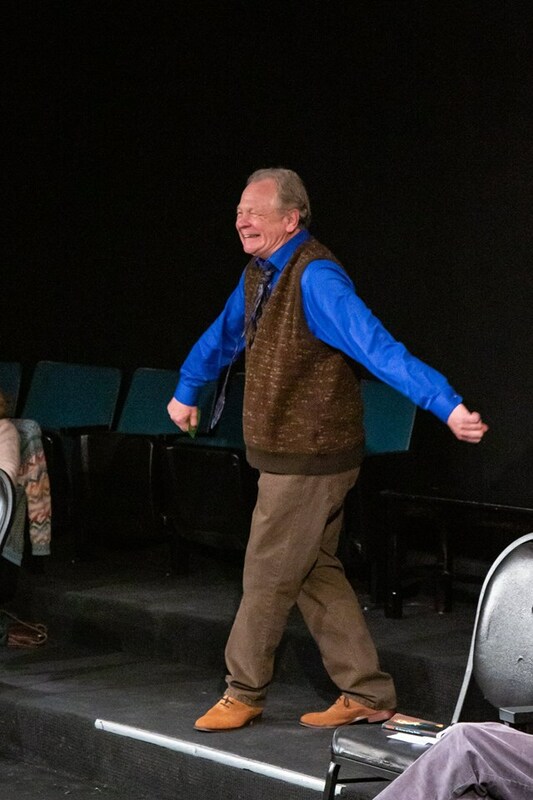 He simultaneously produces an environment where the audience can laugh, however his incredible stage presence demands respect for the topic at hand. Number 9. The audience gets to participate in the play. I’ll admit, I wasn’t excited about that at first. Audience participation has so many opportunities to crash and burn a performance into the ground. 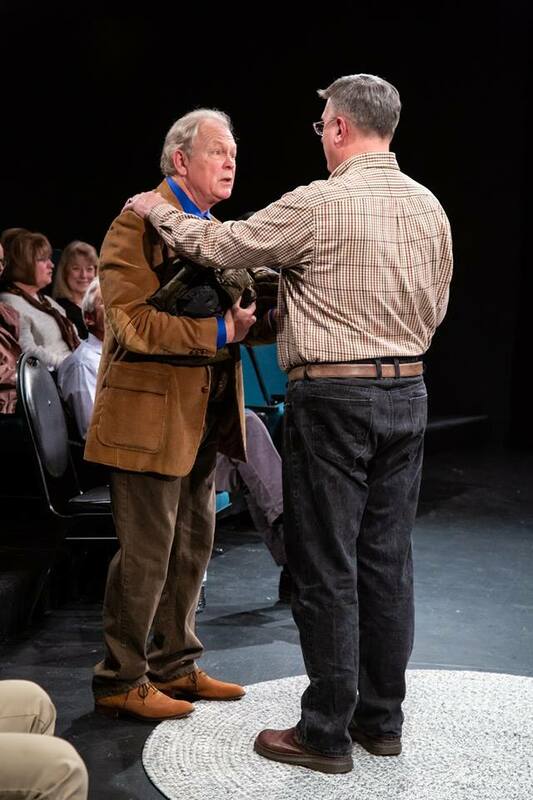 However, playwrights Duncan MacMillan and Jonny Donahoe crafted a well planned script. The writing didn’t demand much of each audience member chosen to participate, yet this small bit that they contributed moved the story forward seamlessly. Number 10. The man chosen to play “Dad” in the show that I saw really brought out his inner actor and gave an outstanding performance. Kudos audience member! Number 11. As an audience member I felt incredibly connected to the story simply because I got to have one line. Number 16. The ability to talk about how suicide changes your state of being. The script and Ashton let us be take part in the life of a small boy who was deeply affected by his mother’s multiple suicide attempts. This story in itself is suicide prevention and awareness. And it’s not the regulated, canned responses that have been set out by government organizations. This is a raw account of what happens to a person and the people around them once suicidal thoughts have turned into actions. 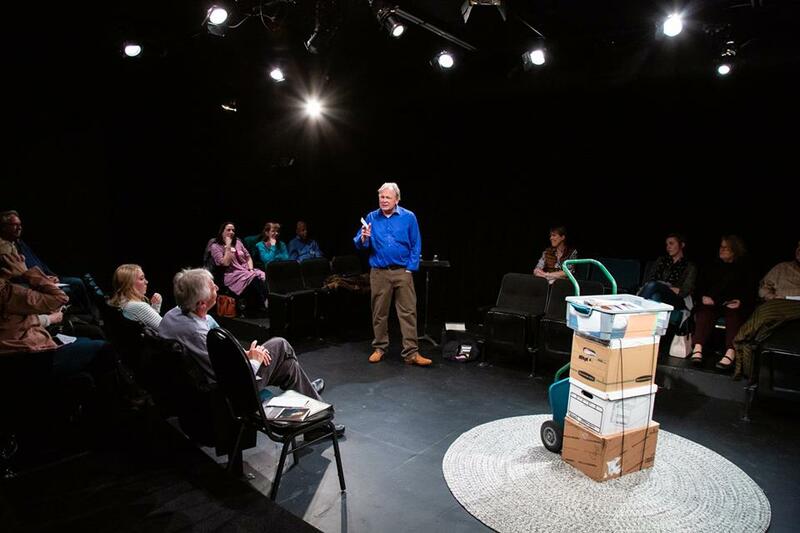 Every Brilliant Thing let the audience think about suicide and not feeling pity, but feeling empathy. Number 23. 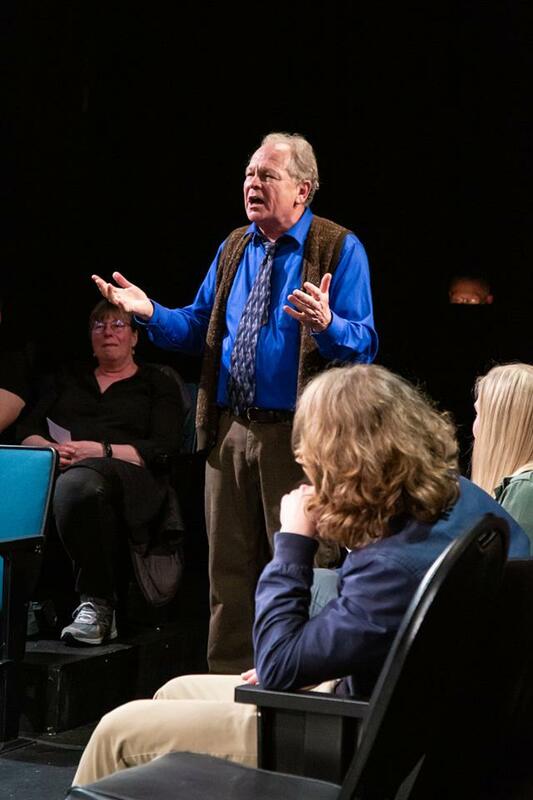 The Narrator gives the audience some advice during the show. He says, “I have some advice for any of you out there who might be considering suicide. Don’t do it.” Well, I have some advice for those of you who might be considering seeing Every Brilliant Thing at Vintage Theatre. Do it.